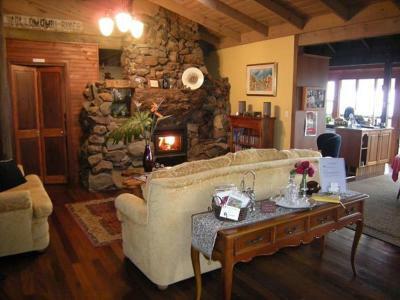 Lock in a great price for Tamborine Mountain Bed and Breakfast – rated 9.5 by recent guests! Lovely wonderful people in a lovely great spot with a fantastic view - magic. The continental breakfast was absolutely the best I've had for a very very long time. Everything was fresh and tasty and yummy.... The warm rhubarb compote and the Bircher Muesli was to die for. Toni's poached eggs, beacon & Tomato were very yummy and also the fresh cocked Coffee (directly from Vietnam). The room was very clean and lovely. The place is calm and piece-full. I certainly did achieve my goal to relax. The Birds gave us a little show every morning including a pair of the magnificent Parrots. And the best thing was a warm hug from Pam when I left <3 Thank you for having me. It was a very beautiful stay. PS: loved your laugh Pam... see you hopefully again soon. The location and view was awesome. Eating a yummy breakfast on deck looking out over the Gold Coast skyline and beyond. Great hosts. 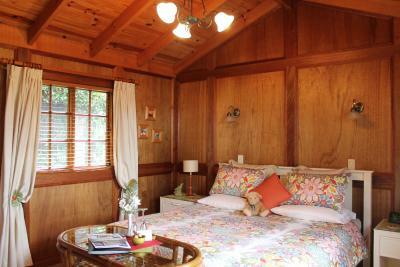 I liked everything about this accommodation and the host and hostess. 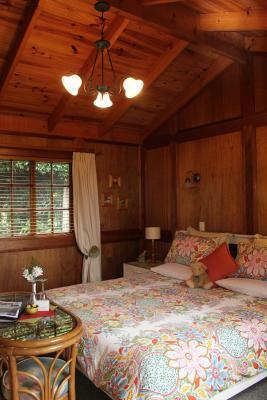 We loved our stay at Mt Tamborine B&B! The owners, Pam and Tony, were lovely and welcoming. We felt right at home the second we arrived. The views from the deck are second to none and we loved drinking wine in front of the cosy fireplace in the evening. Incredible view and atmosphere. Pam and Tony are lovely and accommodating. The room was homely and had excellent facilities. Lots of options for breakfast. Would love to go back soon! The view was amazing. The hosts, Tony and Pam were very friendly and nothing was any trouble. The breakfast was delicious with home-made apple and rhubarb to have with our cereals and also the lovely home-made jam and local honey to go with the toast. 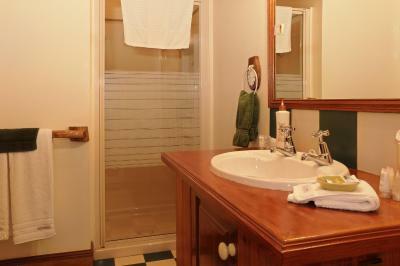 Our room was spotless and we would certainly visit again if the occasion arose to visit Tamborine Mountain. 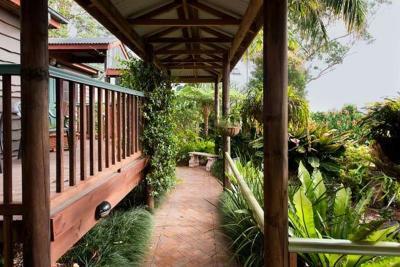 Tamborine Mountain Bed and Breakfast This rating is a reflection of how the property compares to the industry standard when it comes to price, facilities and services available. It's based on a self-evaluation by the property. Use this rating to help choose your stay! 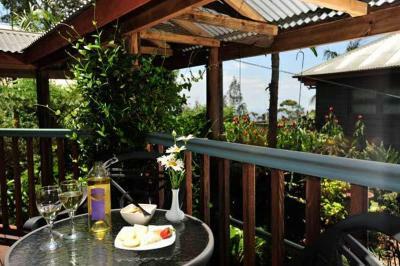 Located on top of Tamborine Mountain, Tamborine Mountain Bed and Breakfast features free Wi-Fi, a library and a terrace overlooking Moreton Bay and the Gold Coast hinterland. 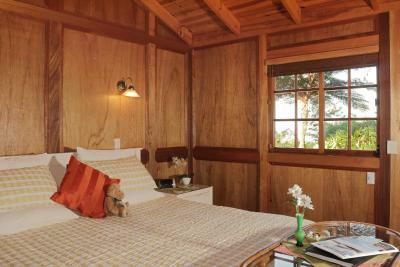 It offers air-conditioned rooms with a private balcony. 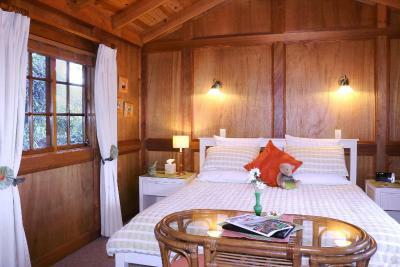 All rooms have a flat-screen TV, a DVD player, a mini-bar and tea and coffee making facilities. 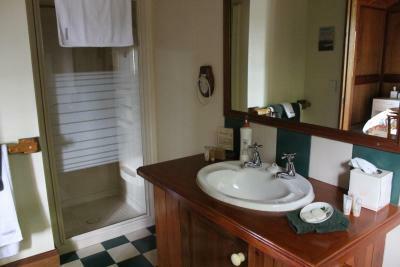 Each room has a bathroom with a hairdryer. 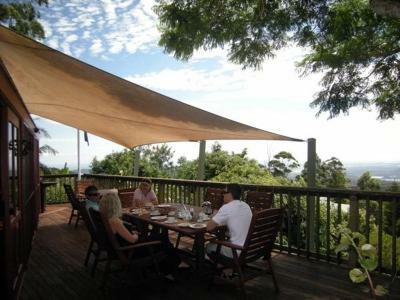 Mount Tamborine Bed and Breakfast Eagle Heights is 5 minutes’ drive from The Cedar Creek Estate Vineyard. Brisbane and Coolangatta Airport are each a 1-hour drive away. 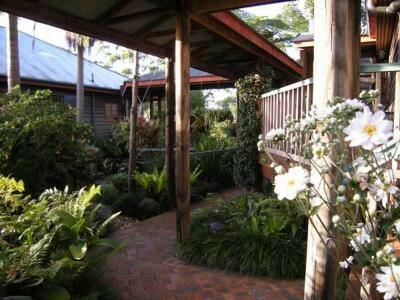 When would you like to stay at Tamborine Mountain Bed and Breakfast? Please note that the price is based on 2 guests. 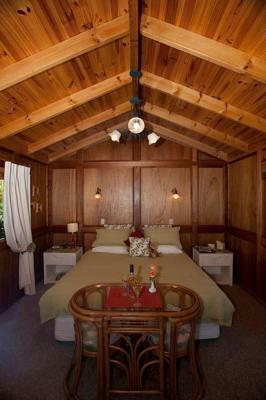 A third adult can be accommodated on a single bed for an additional charge of AUD 50 per night. 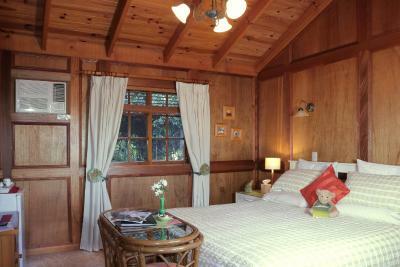 This double room features a balcony, DVD player and private entrance. 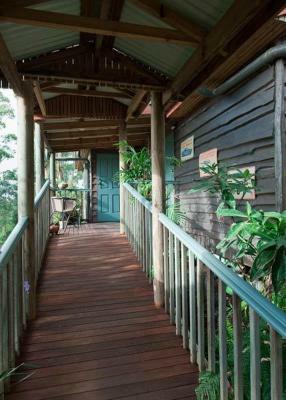 House Rules Tamborine Mountain Bed and Breakfast takes special requests – add in the next step! Tamborine Mountain Bed and Breakfast accepts these cards and reserves the right to temporarily hold an amount prior to arrival. 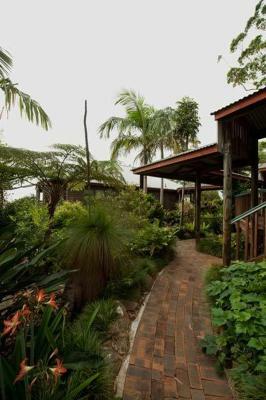 If you expect to arrive outside reception opening hours, please inform Tamborine Mountain Bed and Breakfast in advance, using the contact details found on the booking confirmation. 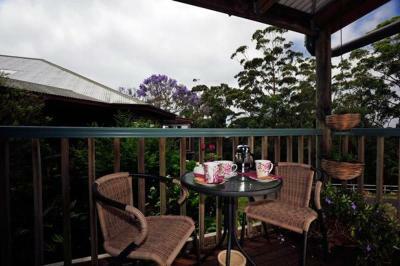 Please note that Tamborine Mountain Bed and breakfast does not accept payments with American Express credit cards. This property cannot accommodate children under the age of 13. Should have bought our own pillows from home. Pillows provided were good quality but not the same. The warmth hospitality offered by Pam and Tony. A bit more variety in the breakfast would be good. What was served was lovely, but the same everyday. A stunning location with amazing hosts. Room comfortable, with tv and tea/coffee facilities. Well equipped to cope with seasons with air-con and electric blankets. Bathroom functional. Lovely breakfast overlooking the mountains. Would definitely recommend. 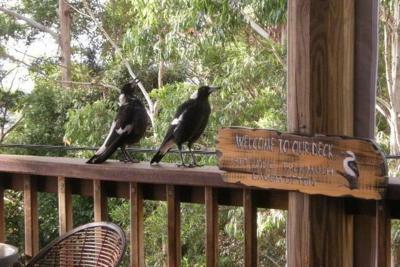 Liked the friendly oweners , the breakfast options and the lovely surroundings and the bird life. Lighting. Whilst there were lamps & some sort of overhead light. It's lovely to create a soft atmosphere; but when packing & sorting papers a bright overhead light is better and a light in the nice large storage cupboard. The overall ambience had a holiday feel. Lovely gardens. Great view when the sun is shining. Great breakfasts and warm chatter. 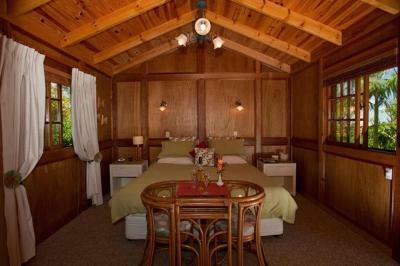 Beautifully presented accommodations.